Welcome to Wallpaper Wednesday, with another of my favourite geometric prints. This one is called Stitch by Patternbooth, and I came across it on the wonderful Clippings.com site. 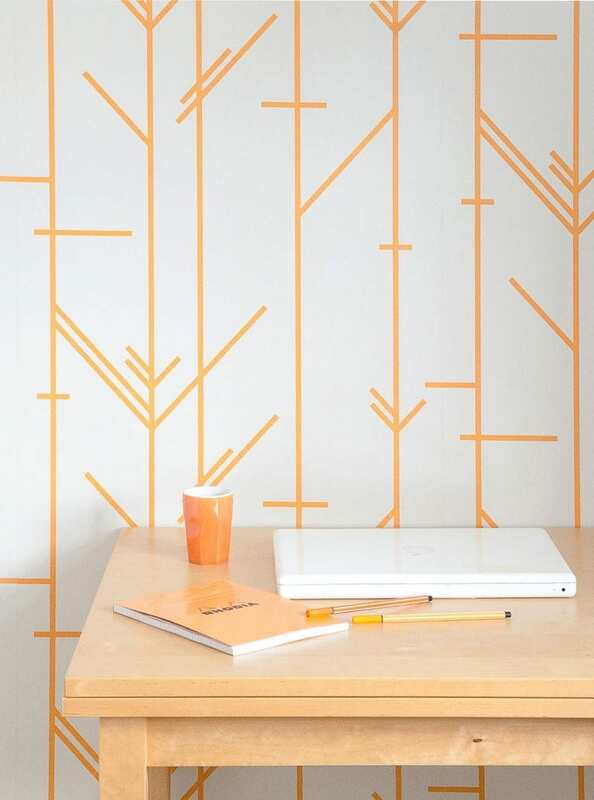 Patternbooth is the label of Cara Holland, a Nottingham based pattern blogger and designer, producing an interiors range of wallpaper, cushions and lampshades. With a love of strong geometric and abstract pattern, my style has been described as “mid century meets modern” with a Scandi twist. Stitch is reminiscent of stitching in a lovely apricot on a very pale grey background. A luxury quality wallpaper printed in England, retailing for £65 per roll. I love its simplicity and its modern, slightly retro feel. Could you see this print working in your home? I love the clippings website. You should check out the geometric print cocktail chairs by flock on clippings. They are amazing. The wallpaper print is great.